Online Application Starting from 17 August 2017 and ends on 31st August 2017. 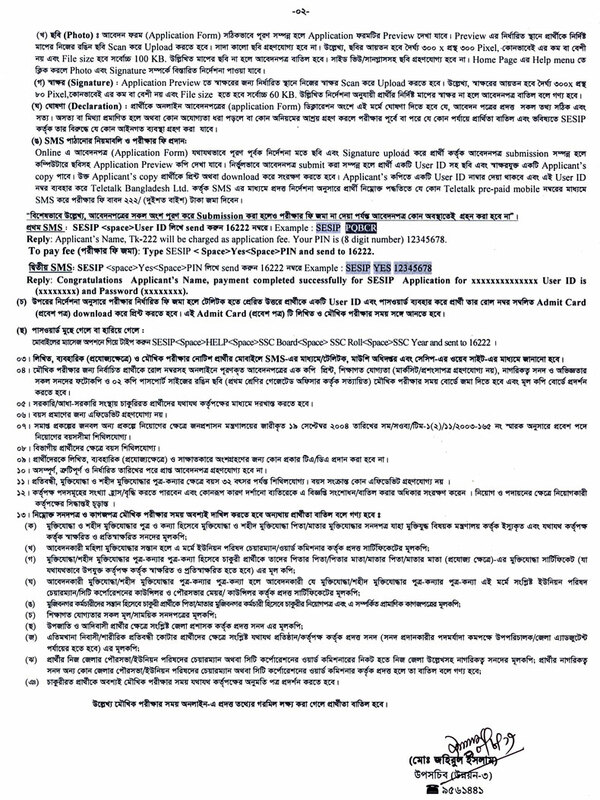 54 posts Education Ministry Job Circular 2017. Ministry of Education Job Circular published on 13 August 2017. Application deadline is 31st August 2017 for Ministry of Education Job. Ministry of Education will recruit for various 54 Posts circulated a Recruitment Advertise of Job Opportunity on 13 August 2017. 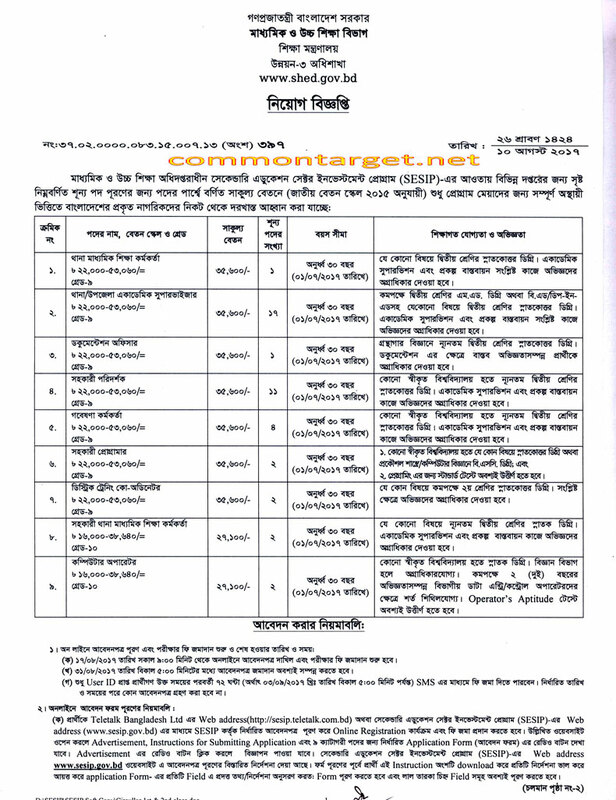 Interested and eligible Bangladeshi Citizenship candidates are requested to apply after fulfilling the circularized conditions and instructions. Deadline for Submitting Application is 31st August 2017. 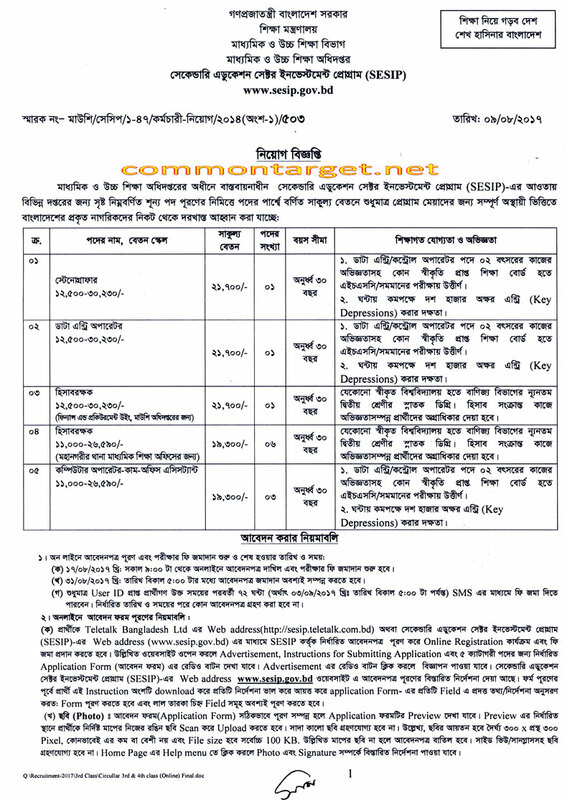 How to Apply: Interested and eligible candidates may Apply through the Online APPLICATION FORM provide by the site http://sesip.teletalk.com.bd as per the circularized conditions and instructions (above). Application Deadline within office time (05:00 P.M.) on or before 31st August 2017.